SAVE $5! Casters allow easy movement of your router table. 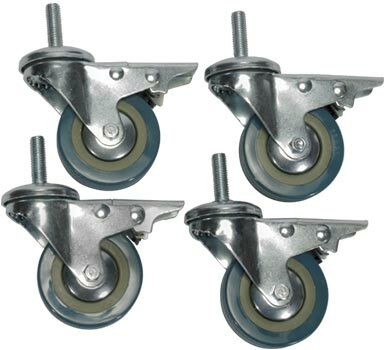 This set of 4 heavy duty casters is designed to fit the Pro Router Table Stand with a 10mm threaded stud. All four casters are both swivel and locking. Max weight 280 lbs. 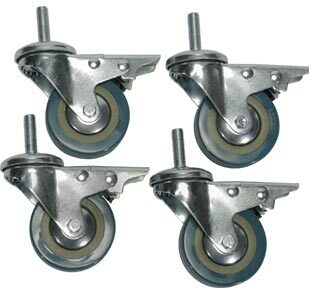 Casters will increase the height of your table by approximately 3‑3/4".